He was the king of outdoor footwear, the sheik of the sandal-shoe. 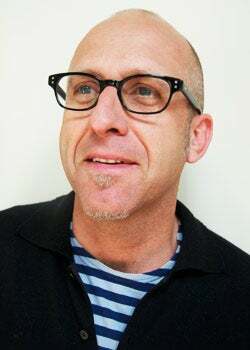 Yet in 2010, seven years after launching Keen Footwear, Martin Keen was bent on leaving the shoe business to get his feet wet in an entirely new and unfamiliar market--office furniture. Keen, who built Keen Footwear from a "simple little idea" into what is now a $300 million-a-year global empire, sold his stake in the privately held company. Two years later, in May 2012, he launched Focal Upright Furniture, envisioning it as a backlash against the cubicle-bound work environment, to which so many health issues have been linked. Why would Keen willingly go from a titan in one industry to a decided underdog in another? "I was ready to get out of the footwear world, and I had an idea for creating something that I believed would positively and profoundly affect the way people work," he says. "Furniture is a different industry, but for me it's really about the same thing--being disruptive, doing something that hasn't been done before. Shifting to a new industry has been incredibly challenging, but it's also been incredibly exciting." The money and renown that come from nurturing an idea into a booming business are nice, but it's the challenge and thrill of the conquest that really stoke entrepreneurs like Keen, says Eric Ries, author of The Lean Startup. "It's about the desire to make things. Being successful at a venture is not enough for them to feel satisfied. They have a vision for how to make the world better, and if they can't do that within the confines of one company, they'll try something totally new. That something new may seem really crazy and unexpected from the outside, but it actually makes a lot of sense to them." Keen is not alone. Like other entrepreneurs who hit it big with their first startup, he's attacking a new endeavor with hard-earned knowledge and experience. Read on to find out how Keen and two others are approaching the second round of their entrepreneurial careers. Their advice could make your first startup that much more successful. 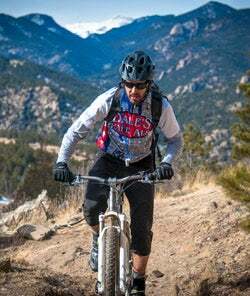 Dale Katechis, founder and owner of Longmont, Colo.-based Oskar Blues Brewery, a leader in the recent canned-beer renaissance, says it's no stretch for him to be launching his line of mountain bikes, Reeb (that's "beer" spelled backward). "The startup is the part of the process I love the most. You have this freedom to just create," he says. "From the ground up you're building a company and solving problems." 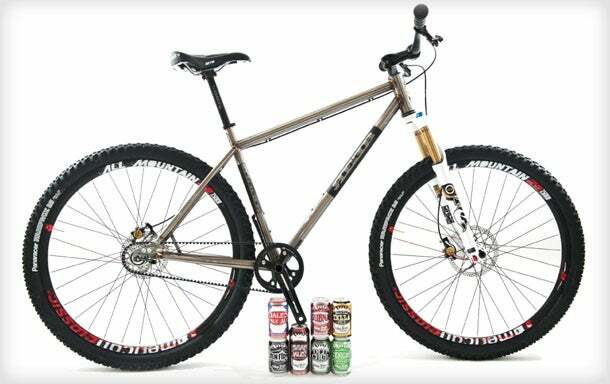 While Reeb sold a modest 95 bikes in its first year, 2012, the company gained instant cred by being named among Outside magazine's best bikes. Now, with his first full-time employee onboard, Katechis aims to sell 200 to 250 Colorado-built bikes (priced from $2,900 to $4,300) by year's end. Is he out of his mind for diverting his attention from one of the nation's most successful craft breweries to a startup in a completely different industry? As disparate as the beer and bike markets might seem, Katechis views them as brands that can feed off one another. He'll put that theory to the test this summer with the opening of CyclHops, a combined taco restaurant (with Oskar Blues beer on tap) and Reeb retail concept. He expects the entrepreneurial chops he developed with Oskar Blues to serve him well with Reeb. "We built Oskar Blues on making mistakes, learning from them, then moving past them," he says. "I know there's an equally high level of risk with Reeb. But I'm willing to experiment, because I believe in the concept." Took on more debt than was comfortable; obligation of paying debt negatively affected customer service. Growing slowly, sustainably and debt-free. Didn't hire first employee until second year in business. If there's one important lesson Katechis says he learned from experience, it's to minimize debt. While taking on a heavy debt burden was the only way he could launch his first brewery venture, he says the decision "stifled the company because it really forced us to worry a lot about finances when we could have been focusing on other things, like improving the customer experience." Another guiding principle in the Reeb launch: Take nothing for granted. What worked with beer won't necessarily work with bikes. "We're making zero assumptions," he says. "To me that's important in the startup phase, because it forces a lot of questions, which help you get to the source of a problem." The success of a startup like Reeb ultimately rides on a clear vision of what the company is and can be, as well as having a strategy to realize that vision. "We want this to be a lifestyle company that puts people on bikes," Katechis says. "And to be successful, we have to sell bikes." For entrepreneur Lucinda Duncalfe, launching Real Food Works, a Philadelphia-based meal-delivery service, was as much about scratching an itch as filling a niche. "I wanted to do something big," she says. "Not so much in terms of moneymaking, but big in terms of impact. I really believe we can make America healthier, and my research tells me we are at the leading edge of what is going to be an even bigger trend toward eating more whole food, less meat and more vegetables." Duncalfe had already done big things before launching Real Food Works in June 2012. She founded and oversaw two successful venture-capital-backed software companies, TurnTide and ClickEquations, before selling them in 2004 and 2011, respectively. She knew that moving out of her comfort zone in the B2B world to the B2C market would be a challenge, but she saw it as a matter of fulfilling a personal need to help people eat better. B2C, she acknowledges, is "totally different. Not knowing the customer personally is really strange for me. I find myself spending a lot of time talking to my customers, more so than I probably should." 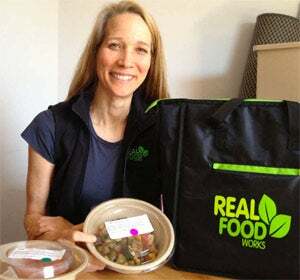 Duncalfe says her experience with logistics and supply-chain technology has proven valuable in developing the Real Food Works model, in which subscribers--the company had more than 100 last spring--pay $89 to $189 per week for home delivery of restaurant-prepared, ready-to-eat meals cooked to high nutritional standards. Chased after venture capital funding without considering who was investing. Made sure investors believed in her business model--and in her. If they didn't, she didn't pursue them. Her previous startup experience taught her to choose investors wisely. "Make sure your investors are great people who really believe in the company and in you, and whose model fits yours," she advises. "Better to go without money than to raise the wrong money, if you can do it." Other indispensable traits for startup entrepreneurs, Duncalfe has learned, are attentiveness and agility. "You have to listen carefully to what the market tells you," she says. "You want to invest in infrastructure at the right time, not too early." For example, after a brief pilot in New York City, she determined that it wasn't a suitable market for Real Food Works, so she aborted plans to launch there and now intends to open elsewhere --"probably Los Angeles"--later this year. Fits and starts aside, "I love this stage, and I love the competition and this company like no company I've ever started or worked for before," she gushes. "It's all blue sky and upside." On to round two: Focal Upright Furniture's Martin Keen. "I'm just trying to create a little wedge and drive it into an industry," Martin Keen says of Focal Upright Furniture, the Rhode Island venture he launched in 2012. For Keen, that little wedge--an upright workstation designed to promote a natural, neutral posture while maintaining mobile stability--represents a major step forward for the office-bound. "I want to be seen as the creator of the upright office, this new movement that benefits anyone who sits in front of a computer and wants to work more productively." To build momentum for Focal, Keen is drawing upon some of the same entrepreneurial traits that helped him quickly build Keen Footwear into an industry giant. A drive to be disruptive and unconventional is one of them. "I don't like to play by the rules," he declares. And in many respects, he isn't. Besides eschewing tradition with the furniture design itself, Keen is seeking to circumvent the furniture industry's conventional distribution model by selling directly to consumers, corporations, educational institutions and the government. He's also forgoing traditional advertising channels in favor of getting feedback from ergonomists and key opinion leaders in the area of workplace wellness. Brought on partners for their connections and access to money, not for their belief in the company. Made sure partners fit and mesh well within the company and are 100 percent behind its goals. "I didn't know anything about the furniture world when I started Focal, which I don't think is a negative," Keen says. When attempting to disrupt an industry--specifically, remaking the way furniture is sold in the U.S.--"being an outsider can work in your favor," he points out. Another key point is culture: Keen is uncompromising when it comes to preserving Focal's startup culture, having experienced the downside to hitching onto partners for their connections and ability to raise capital, rather than for their cultural fit with the company. "These relationships are prone to messy endings," he says. Regardless of the industry--furniture, fat-tire bikes or healthful food--entrepreneurs with startup success understand what they bring to their new businesses--and what they don't. With the group here, it's what they don't know that seems to excite them the most. They don't fear the unknown; they embrace it, knowing the lessons learned can be applied to their next ventures. Think you've got what it takes? See if the qualities below describe you. 1. You have an uncanny knack for selecting the right industry at the right time. With the outdoor shoe market about to explode 10 years ago, along came Keen Footwear. 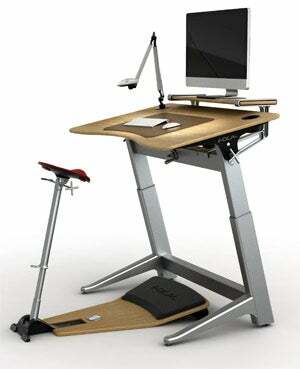 Will Martin Keen experience similar success with upright furniture? 2. You can convert a problem into an opportunity. Lucinda Duncalfe's concept for a subscription-based healthful-meal delivery service was missing a vital piece: qualified cooks. Her solution: Enlist restaurants to prepare meals during slow periods in the kitchen. 3. You thrive on the challenge of building something important. "The motivation is the work itself," notes Eric Ries, author of The Lean Startup. 4. You have a desire to disrupt. You see an industry with a problem and figure out how to fix it, make it better or replace it with something completely different. 5. Your head's in the clouds, but your feet are on the ground. Successful entrepreneurs have a "vision for making the world better," Ries says, plus the follow-through to realize that vision. They're calculated risk-takers who "see clearly what needs to happen to succeed." 6. You embrace failure and success. "The lesson for entrepreneurs to learn is to be just as happy with 10 failed experiments as two successful ones," Ries says. 7. You won't leave any opportunity on the table. As of early 2012, Dale Katechis had no plans to expand Colorado-based Oskar Blues eastward. Within nine months, spurred by skyrocketing demand, he'd opened a brewing operation in North Carolina. 8. You have a filter for opinions and criticism. Had Keen listened to naysayers, he never would have started his footwear company. Same goes for Katechis, who canned, instead of bottled, his craft beer.